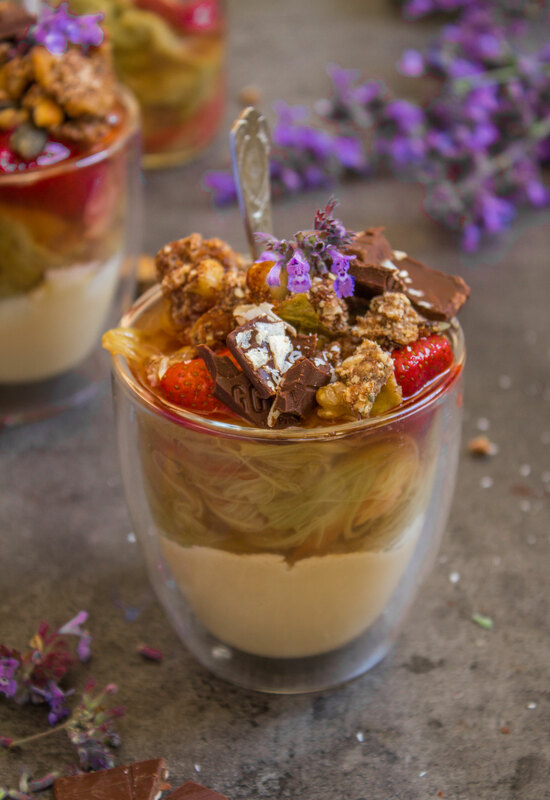 Rhubarb Lettice Cheesecake - simply & healthy vegan recipes that taste amazing! This rhubarb cake turned out perfectly delicate! The crispy crust goes perfectly with the creamy vanilla-cashew creamcheese and the amazing rhubarb taste! I had to remake the Rhubarb Lettice a few times, luckily I had a lot of Rhubarb at home because I didn't realize that when you cook rhubarb, it takes only about 30 seconds or 1 minute to be al dent and if you cook it longer, it falls apart. Don´t worry, I didn't waste any of the Rhubarb. With the leftovers I made 2 delicious dessert parfaits, with some of the vanilla-cashew cream and my homemade granola. To make the rhubarb lettice is much easier than it looks, this was my first time trying it, and if I can do it, you can as well! Its basicly just weave it together. 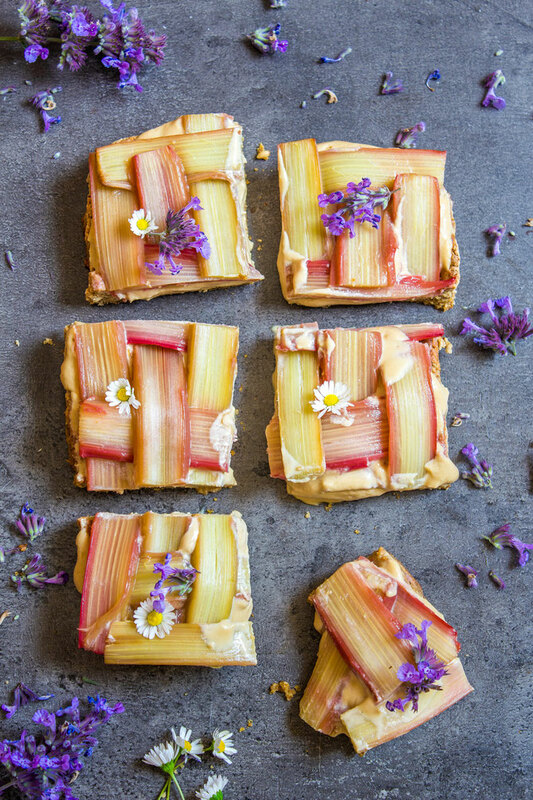 Here a good descibtion: Line up slices of cooked rhubarb side-by-side on a sheet of parchment. Fold alternating slices up, and place perpendicular slices over, in a lattice pattern. Repeat until the sheet of lattice is big enough to cover the entire top of the tart. Here is a video I found on Youtube that shows you how to fold the rhubarb slices. So give it a try, it is so much fun and I love to challenge myself making new things! 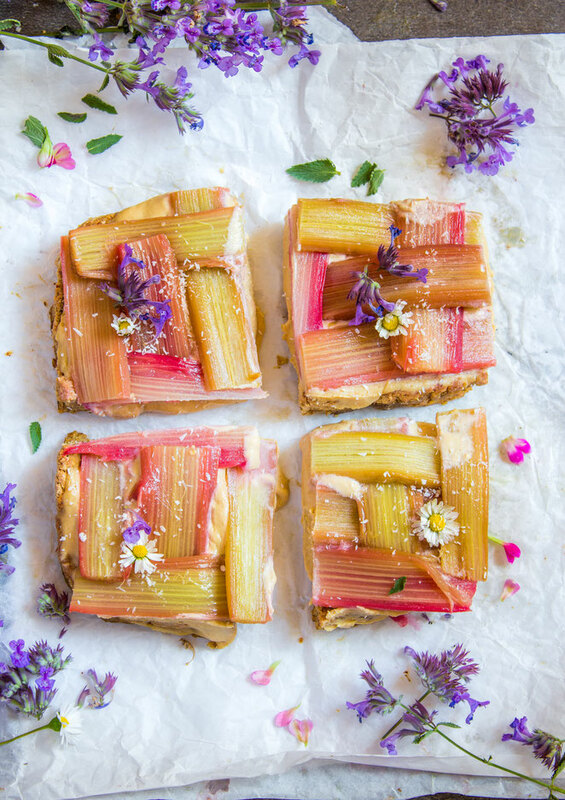 This one looks very beautiful and if you have guests, be sure to suprise them with this awesome rhubarb cake! So lets move on to the actual recipe! 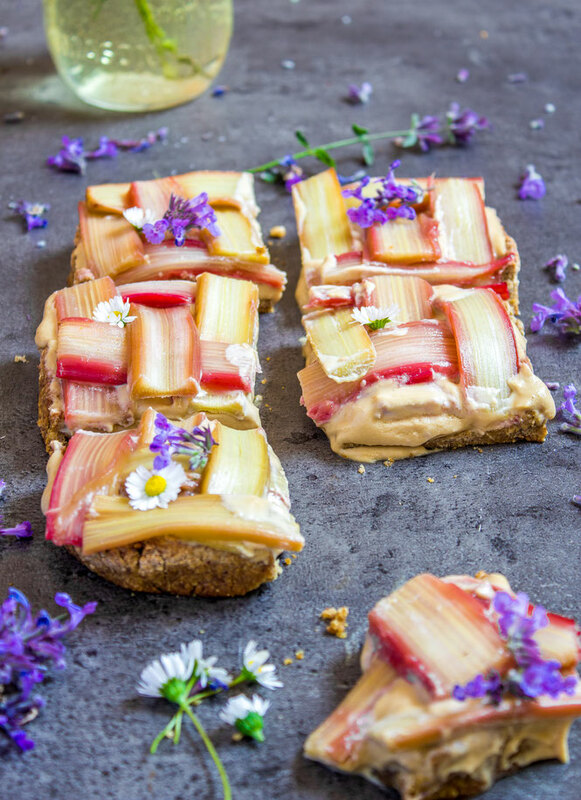 Rhubarb Lettice Cheesecake with a crispy pie crust! Start with the crust: blend the flaxseeds, the rolled oats and the psyllium husk until you have a fine flour. Then add the water and coconut blossom nectar or maple syrup. 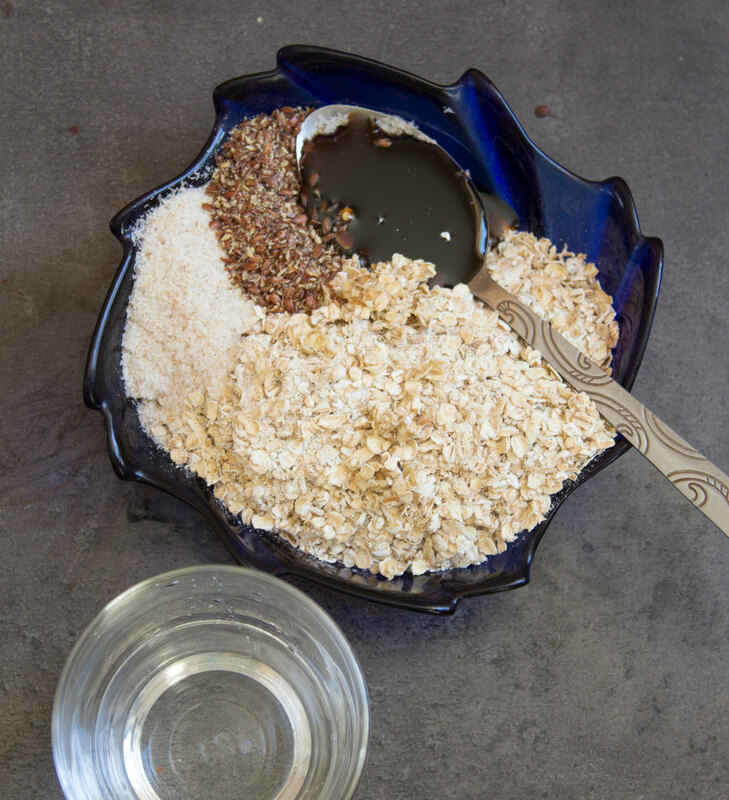 Mix the wet ingredients together with the dry in a bowl. 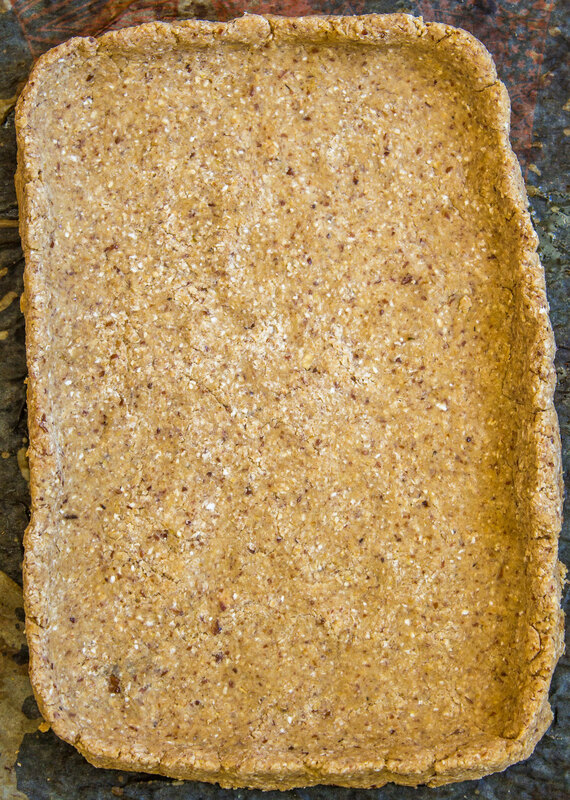 Create the tart shell by pressing the dough into the bottom of rectangular tart pan. Fold up the edges. 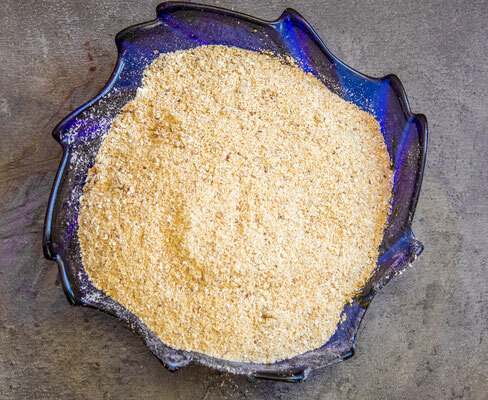 Make the crust as thin as possible, without breaking it. 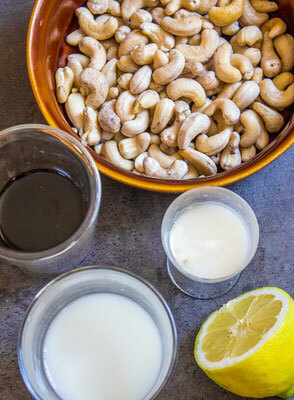 Blend together all the ingredients for the cream in a high speed blender or food processor. 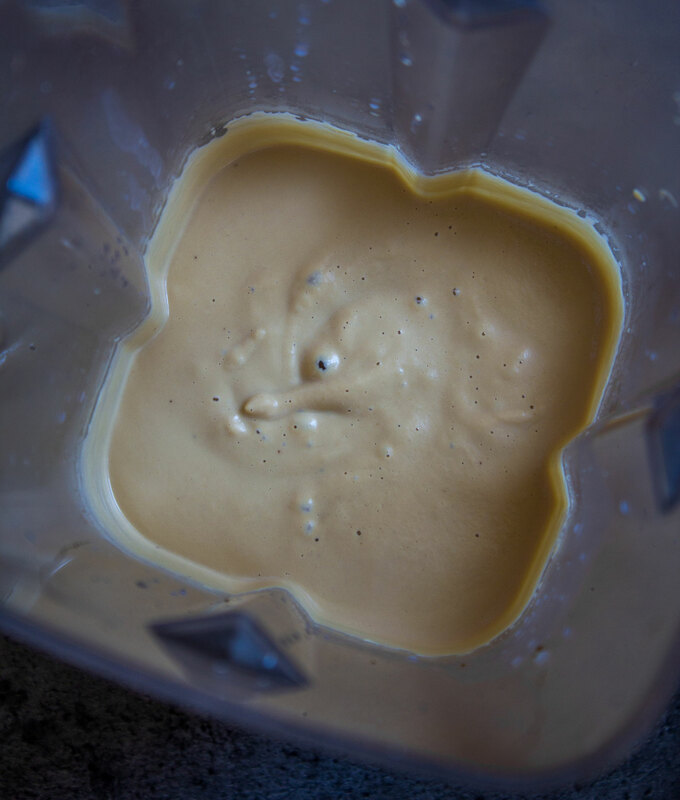 Blend until super creamy and smooth. This process takes some minutes. 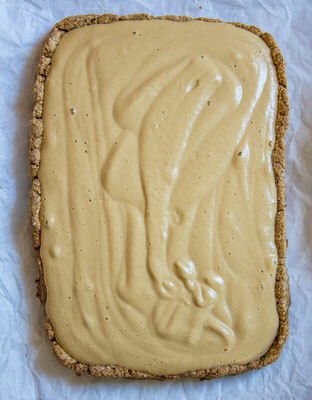 Pour the cream evenly over the baked crust. Let the tart chill in the freezer approx. 1-2 hours. 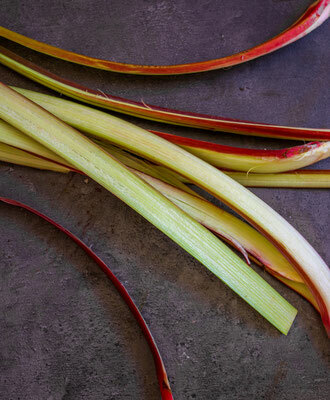 Using a mandolin slicer or vegetable peeler, slice the rhubarb long-ways. In a pot bring water and sugar to a boil. Reduce to a simmer then add 4 or 5 slices of rhubarb at a time to the pot. 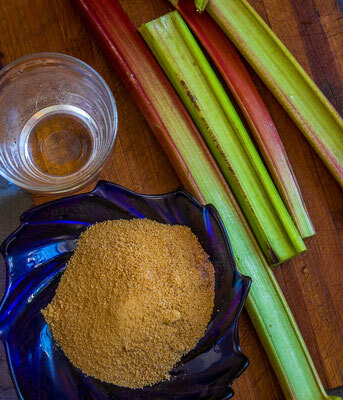 Cook rhubarb until slightly softened (approx. 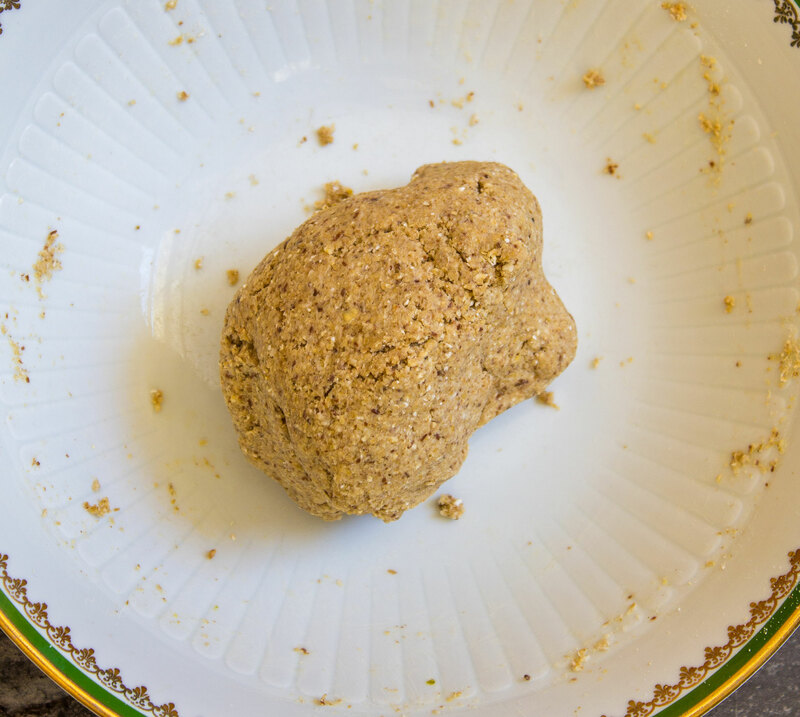 30 seconds to 1 minute), then drain on paper towels. Repeat, until all the rhubarb is cooked. Reserve the remaining syrup for the glaze. Line the rhubarb slices side-by-side on a parchment paper. Fold alternating slices up, and place perpendicular slices over, in a lattice pattern. Repeat until the sheet of lattice is big enough to cover the entire cake. Take out the cake from the freezer. 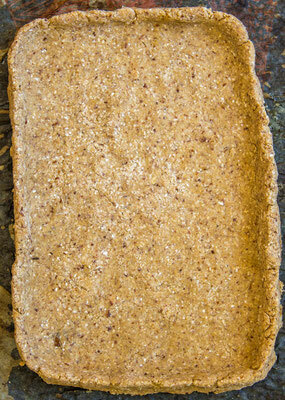 Flip the sheet onto the top of the cooled tart, and peel the paper away. 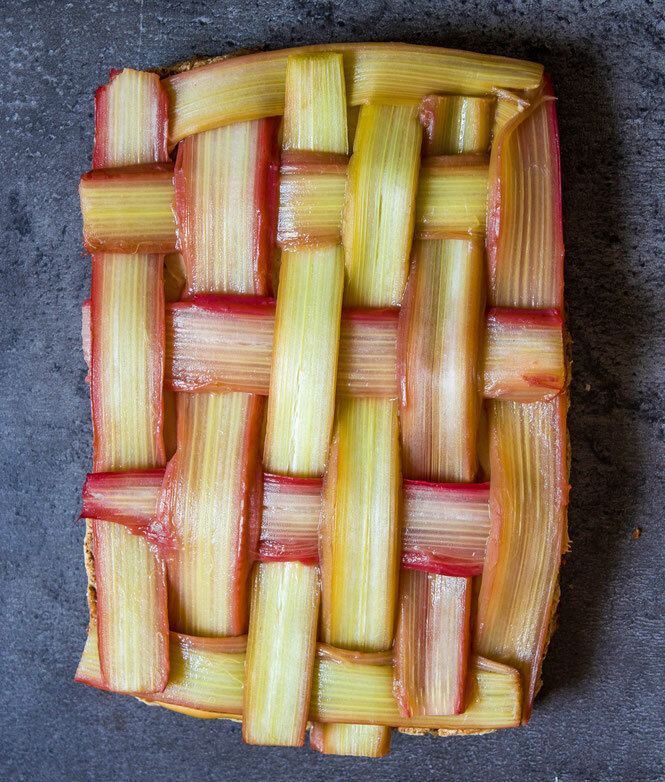 Cut of rhubarb slices that hang over the edges, with a scissor. Let the cake defrost for 20-30 minutes before cutting it into pieces. Serve and enjoy your summer cake! Here are some step by step pictures showing the process. Any questions? Let me know in the comments below!